For the proper choice of the decimal separator in English-language Wikipedia articles, see Wikipedia:Manual of Style (dates and numbers) § Decimal points. "Decimal period" redirects here. For the length of the repeating sequence in the decimal expansion of a rational number, see Repeating decimal. A decimal separator is a symbol used to separate the integer part from the fractional part of a number written in decimal form. Different countries officially designate different symbols for the decimal separator. The choice of symbol for the decimal separator also affects the choice of symbol for the thousands separator used in digit grouping, so the latter is also treated in this article. Any such symbol can be called a decimal mark, decimal marker or decimal sign. But symbol-specific names are also used; decimal point and decimal comma refer to an (either baseline or middle) dot and comma respectively, when it is used as a decimal separator; these are the usual terms used in English, with the aforementioned generic terms reserved for abstract usage. In many contexts, when a number is spoken, the function of the separator is assumed by the spoken name of the symbol:[a] comma or point in most cases. In some specialized contexts, the word decimal is instead used for this purpose (such as in ICAO-regulated air traffic control communications). In mathematics the decimal separator is a type of radix point, a term that also applies to number systems with bases other than ten. In the Middle Ages, before printing, a bar ( ¯ ) over the units digit was used to separate the integral part of a number from its fractional part, e.g. 9995 (meaning, 99.95 in decimal point format). This practice derived from the decimal system used in Indian mathematics and was popularized by the Persian mathematician Al-Khwarizmi, when Latin translation of his work on the Indian numerals introduced the decimal positional number system to the Western world. His Compendious Book on Calculation by Completion and Balancing presented the first systematic solution of linear and quadratic equations in Arabic. A similar notation remains in common use as an underbar to superscript digits, especially for monetary values without a decimal separator, e.g. 9995. Later, a "separatrix" (a short, roughly vertical ink stroke) between the units and tenths position became the norm among Arab mathematicians (e.g. 99ˌ95), while an L-shaped or vertical bar (|) served as the separatrix in England. When this character was typeset, it was convenient to use the existing comma (99,95) or full stop (99.95) instead. Gerbert of Aurillac marked triples of columns with an arc (called a "Pythagorean arc") when using his Hindu–Arabic numeral-based abacus in the 10th century. Fibonacci followed this convention when writing numbers such as in his influential work Liber Abaci in the 13th century. Tables of logarithms prepared by John Napier in 1614 and 1619 used the period (full stop) as the decimal separator, which was then adopted by Henry Briggs in his influential 17th century work. In France, the full stop was already in use in printing to make Roman numerals more readable, so the comma was chosen. Many other countries, such as Italy, also chose to use the comma to mark the decimal units position. It has been made standard by the ISO for international blueprints. However, English-speaking countries took the comma to separate sequences of three digits. In some countries, a raised dot or dash (upper comma) may be used for grouping or decimal separator; this is particularly common in handwriting. In the United States, the full stop or period (.) was used as the standard decimal separator. In the nations of the British Empire, although the full stop could be used in typewritten material and its use was not banned, the interpunct (also known as the decimal point, point, or mid dot) was preferred for the decimal separator in printing technologies that could accommodate it, e.g. 99·95. However, as the mid dot was already in common use in the mathematics world to indicate multiplication, the SI rejected its use as the decimal separator. During the beginning of British metrication in the late 1960s and with impending currency decimalisation, there was some debate in the United Kingdom as to whether the decimal comma or decimal point should be preferred: the British Standards Institution and some sectors of industry advocated the comma and the Decimal Currency Board advocated for the point. In the event, the point was chosen by the Ministry of Technology in 1968. When South Africa adopted the metric system, it adopted the comma as its decimal separator, although a number of house styles, including some English-language newspapers such as The Sunday Times, continue to use the full stop. 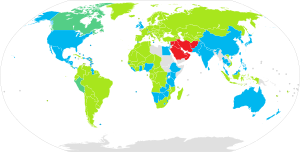 The three most spoken international auxiliary languages, Ido, Esperanto, and Interlingua, all use the comma as the decimal separator. Interlingua has used the comma as its decimal separator since the publication of the Interlingua Grammar in 1951. Esperanto also uses the comma as its official decimal separator, while thousands are separated by non-breaking spaces: 12 345 678,9. Ido's Kompleta Gramatiko Detaloza di la Linguo Internaciona Ido (Complete Detailed Grammar of the International Language Ido) officially states that commas are used for the decimal separator while full stops are used to separate thousands, millions, etc. So the number 12,345,678.90123 (in American notation) for instance, would be written 12.345.678,90123 in Ido. The 1931 grammar of Volapük by Arie de Jong uses the comma as its decimal separator, and (somewhat unusually) uses the middle dot as the thousands separator (12·345·678,90123). In 1958, disputes between European and American delegates over the correct representation of the decimal separator nearly stalled the development of the ALGOL computer programming language. ALGOL ended up allowing different decimal separators, but most computer languages and standard data formats (e.g. C, Java, Fortran, Cascading Style Sheets (CSS)) specify a dot. The 22nd General Conference on Weights and Measures declared in 2003 that "the symbol for the decimal marker shall be either the point on the line or the comma on the line". It further reaffirmed that "numbers may be divided in groups of three in order to facilitate reading; neither dots nor commas are ever inserted in the spaces between groups" (e.g. 7009100000000000000♠1000000000). This usage has therefore been recommended by technical organizations, such as the United States' National Institute of Standards and Technology. For ease of reading, numbers with many digits may be divided into groups using a delimiter, such as comma "," or dot "." or space or underbar "_" (as in maritime "21_450"). In some countries, these "digit group separators" are only employed to the left of the decimal separator; in others, they are also used to separate numbers with a long fractional part. An important reason for grouping is that it allows rapid judgement of the number of digits, via subitizing (telling at a glance) rather than counting – contrast 7008100000000000000♠100000000 with 100000000 for one hundred million. Since 2003, the use of spaces as separators (for example: 7004200000000000000♠20000 and 7006100000000000000♠1000000 for "twenty thousand" and "one million") has been officially endorsed by SI/ISO 31-0 standard, as well as by the International Bureau of Weights and Measures and the International Union of Pure and Applied Chemistry (IUPAC), the American Medical Association's widely followed AMA Manual of Style, and the Metrication Board, among others. The groups created by the delimiters tend to follow the use of the local language, which varies. In European languages, large numbers are read in groups of thousands and the delimiter (which occurs every three digits when it is used) may be called a "thousands separator". In East Asian cultures, particularly China, Japan, and Korea, large numbers are read in groups of myriads (10,000s) but the delimiter commonly separates every three digits. The Indian numbering system is somewhat more complex: it groups the rightmost three digits together (till the hundreds place) and thereafter groups by sets of two digits. One trillion would thus be written as 10,00,00,00,00,000 or 10 kharab. The convention for digit group separators historically varied among countries, but usually seeking to distinguish the delimiter from the decimal separator. Traditionally, English-speaking countries employed commas as the delimiter – 10,000 – and other European countries employed periods or spaces: 10.000 or 7004100000000000000♠10000. Because of the confusion that could result in international documents, in recent years the use of spaces as separators has been advocated by the superseded SI/ISO 31-0 standard, as well as by the International Bureau of Weights and Measures and the International Union of Pure and Applied Chemistry, which have also begun advocating the use of a "thin space" in "groups of three". Within the United States, the American Medical Association's widely followed AMA Manual of Style also calls for a thin space. In some online encoding environments (for example, ASCII-only) a thin space is not practical or available, in which case a regular word space or no delimiter are the alternatives. Digit group separators can occur either as part of the data or as a mask through which the data is displayed. This is an example of the separation of presentation and content, making it possible to display numbers with spaced digit grouping in a way that does not insert any whitespace characters into the string of digits in the content. In many computing contexts, it is preferred to omit digit group separators from the data and instead overlay them as a mask (an input mask or an output mask). Common examples include spreadsheets and databases in which currency values are entered without such marks but are displayed with them inserted. (Similarly, phone numbers can have hyphens, spaces, and/or parentheses as a mask rather than as data.) In web content, such digit grouping can be done with CSS style. It is useful because the number can be copied and pasted into calculators (including a web browser's omnibox) and parsed by the computer as-is (without the user manually purging the extraneous characters). For example, Wikipedia content can display numbers this way, as in the following examples: 7011149597870700000♠149597870700 metres is 1 astronomical unit; 3.14159265358979323846 is π rounded to 20 decimal places, and 2.71828182845904523536 is e rounded to 20 decimal places. In some programming languages, it is possible to group the digits in the program's source code to make it easier to read; see Integer literal: Digit separators. Ada, C# (from version 7.0), D, Haskell (from GHC version 8.6.1), Java, OCaml, Perl, Python (from version 3.6), Ruby, Rust, and Swift use the underscore (_) character for this purpose. All these languages allow seven hundred million to be entered as 700_000_000. Fixed-form Fortran ignores whitespace (in all contexts), so 700 000 000 is permissible. C++14 allows the use of an apostrophe for digit grouping, so 700'000'000 is permissible. The International Bureau of Weights and Measures states that "when there are only four digits before or after the decimal marker, it is customary not to use a space to isolate a single digit". Likewise, some manuals of style state that thousands separators should not be used in normal text for numbers from 1000 to 9999 inclusive where no decimal fractional part is shown (in other words, for four-digit whole numbers), whereas others use thousands separators, and others use both. For example, APA style stipulates a thousands separator for "most figures of 1,000 or more" except for page numbers, binary digits, temperatures, etc. There are always "common-sense" country-specific exceptions to digit grouping, such as year numbers, postal codes and ID numbers of predefined nongrouped format, which style guides usually point out. In binary (base-2), a full space can be used between groups of four digits, corresponding to a nibble, or equivalently to a hexadecimal digit. For integer numbers, dots are used as well to separate groups of four bits. Alternatively, binary digits may be grouped by threes, corresponding to an octal digit. Similarly, in hexadecimal (base-16), full spaces are usually used to group digits into twos, making each group correspond to a byte. Additionally, groups of eight bytes are often separated by a hyphen. In countries with a decimal comma, the decimal point is also common as the "international" notation because of the influence of devices, such as electronic calculators, which use the decimal point. Most computer operating systems allow selection of the decimal separator and programs that have been carefully internationalized will follow this, but some programs ignore it and a few may even fail to operate if the setting has been changed. Unicode defines a decimal separator key symbol (⎖ in hex U+2396, decimal 9110) which looks similar to the apostrophe. This symbol is from ISO/IEC 9995 and is intended for use on a keyboard to indicate a key that performs decimal separation. In the Arab world, where Eastern Arabic numerals are used for writing numbers, a different character is used to separate the integer and fractional parts of numbers. It is referred to as an Arabic decimal separator (٫) (in hex U+066B) in Unicode. An Arabic thousands separator (٬) also exists. In Persian, the decimal separator is called momayyez, which is written like a forward slash—there is a small difference between the upside-down (Persian) comma character used in sentences and the Latin comma (٫) (in hex U+066B) used to separate sequences of three digits. To separate sequences of three digits, a Latin comma or blank space may be used; however this is not a standard. In English Braille, the decimal point, ⠨, is distinct from both the comma, ⠂, and the full stop, ⠲. The following examples show the decimal separator and the thousands separator in various countries that use the Arabic numeral system. 1,234,567.89 Canada (English-speaking; unofficial), China, Hong Kong, Ireland, Israel, Japan, Korea, Malaysia, México, New Zealand, Pakistan, Philippines, Singapore, Taiwan, Thailand, United Kingdom and other Commonwealth states, United States. 1234567.89 SI style (English version), Australia, Canada (English-speaking), China, South Africa, Sri Lanka, Switzerland (officially encouraged for currency numbers only). 1234567,89 SI style (French version), Albania, Belgium (French), Bulgaria, Canada (French-speaking), Czech Republic, Estonia, Finland, France, Hungary, Kosovo, Latin Europe, Latvia, Lithuania, Norway, Peru, Poland, Portugal, Russia, Slovakia, South Africa, Sweden, Switzerland (officially encouraged, except currency numbers), Ukraine, Vietnam (in education). 1.234.567,89 Argentina, Austria, Belgium (Dutch), Bosnia and Herzegovina, Brazil, Chile, Colombia, Costa Rica, Croatia, Denmark, Germany, Greece, Indonesia, Italy, Netherlands, Romania, Slovenia, Spain,Turkey, Vietnam. 12,34,567.89 Bangladesh, India (see Indian Numbering System). 123,4567.89 China (based on powers of 10 000—see Chinese numerals, also 1234567.89). In Belgium (Dutch), Brazil, Denmark, Germany, Greece, Indonesia, Italy, Netherlands, Portugal, Romania, Russia, Slovenia, Sweden and much of Europe: 1234567,89 or 1.234.567,89. In handwriting, 1˙234˙567,89 is also seen, but never in Belgium, Brazil, Denmark, Estonia, Germany, the Netherlands, Portugal, Romania, Russia, Slovenia or Sweden. In Italy, a straight apostrophe is also used in handwriting: 1'234'567,89. In the Netherlands and Dutch-speaking Belgium, the points thousands separator is used, and is preferred for currency amounts, but the space is recommended by some style guides, mostly in technical writing. In Estonia, currency numbers often use a dot "." as the decimal separator, and a space as a thousands separator. This is most visible on shopping receipts and in documents that also use other numbers with decimals, such as measurements. This practice is used to better distinguish between prices and other values with decimals. An older convention uses dots to separate thousands (with commas for decimals) — this older practice makes it easier to avoid word breaks with larger numbers. Historically, in Germany and Austria, thousands separators were occasionally denoted by alternating uses of comma and point, e.g. 1.234,567.890,12 for "eine Milliarde 234 Millionen ...", but this is never seen in modern days and requires explanation to a contemporary German reader. Switzerland: There are two cases: An apostrophe as a thousands separator along with a dot "." as the decimal separator are used for currency values (for example: 1'234'567.89). For other values, the SI-style 1234567,89 is used with a comma "," as the decimal separator. The apostrophe is also the most common variety for non-currency values: 1'234'567,89 — though this usage is officially discouraged. In Ireland, Israel, Japan, Korea (both), Malaysia, New Zealand, the Philippines, Singapore, Taiwan, Thailand, the United Kingdom, and the United States: 1,234,567.89 or 1,234,567·89; the latter is generally found only in older, and especially handwritten documents. Australia used this style up until the 1970s; now it uses the SI style. English Canada: There are two cases: The preferred method for currency values is $4,000.00 —while for numeric values, it is 1234567.89; however, commas are also sometimes used, although no longer taught in school or used in official publications. SI style: 1 234 567.89 or 1 234 567,89 (in their own publications, the dot "." is used in the English version, and the comma "," in the French version). In China, comma and space are used to mark digit groups, because dot is used as decimal separator. There is no universal convention on digit grouping, so both thousands grouping and no digit grouping can be found. Japan and Taiwan are similar; although when grouping by myriads, kanji or characters are frequently used as separators: 1億2345万6789 / 1億2345萬6789. Commas are used when grouping by thousands. In India, due to a numeral system using lakhs (lacs) (1,23,456 equal to 123 456) and crores (1,23,45,678 equal to 12 345 678), comma is used at levels of thousand; lakh and crore, for example, 10 million (1 crore) would be written as 1,00,00,000. In Pakistan, there is a greater tendency to use the standard western system, while using the Indian numbering system when conducting business in Urdu. ^ "Decimal point definition and meaning | Collins English Dictionary". www.collinsdictionary.com. Retrieved 2018-07-05. ^ a b W., Weisstein, Eric. "Decimal Point". mathworld.wolfram.com. Retrieved 2018-07-05. ^ "decimal point Meaning in the Cambridge English Dictionary". dictionary.cambridge.org. Retrieved 2018-07-05. ^ "How to Change Excel's Decimal Separators from Periods to Commas". Retrieved 2018-07-05. ^ "Decimal Separators: Points or commas? - Elementary Math". Elementary Math. 2018-01-19. Retrieved 2018-07-05. ^ "Mythematics: a decimal point". Grammarphobia. 2012-02-17. Retrieved 2018-07-05. ^ Reimer, L., and Reimer, W. Mathematicians Are People, Too: Stories from the Lives of Great Mathematicians, Vol. 2. 1995. pp. 22-22. Parsippany, NJ: Pearson ducation, Inc. as Dale Seymor Publications. ISBN 0-86651-823-1. ^ "separatrix, n.", Oxford English Dictionary, Oxford: Oxford University Press . ^ Devlin, Keith (2011). The Man of Numbers: Fibonacci's Arithmetic Revolution. New York: Walker & Company. pp. 44–45. ISBN 9780802779083. ^ a b Enciclopedia Universal Santillana, 1996 by SANTILLANA S.A., Barcelona, Spain. ISBN 84-294-5129-3. Comma, def.2: "coma: MAT. Signo utilizado en los números no enteros para separar la parte entera de la parte decimal o fraccionaria; p.ej., 2,123." ^ "ISO 80000-2:2009". International Organization for Standardization. Retrieved 1 July 2010. ^ Reimer, L., and Reimer, W. Mathematicians Are People, Too: Stories from the Lives of Great Mathematicians, Vol. 1. 1990 p. 41. Parsippany, NJ: Pearson Education, Inc. as Dale Seymor Publications. ISBN 0-86651-509-7. ^ "Victory on Points". Nature. 218 (5137): 111. 1968. doi:10.1038/218111c0. ^ "Government Notice R. 1144, Government Gazette 4326" (PDF). 5 July 1974. p. 55. ^ "Grammar of Interlingua: Parts of Speech – Numerals". Archived from the original on 2016-05-16. Retrieved 2008-03-18. ^ Perlis, Alan, The American Side of the Development of ALGOL, ACM SIGPLAN Notices, August 1978. ^ Thompson, Ambler; Taylor, Barry N. (March 2008). "Guide for the Use of the International System of Units (SI)" (PDF). National Institute of Standards and Technology. p. 37. Retrieved 28 March 2018. ^ "ISO/FDIS 8601:2000(E) Data elements and interchange formats — Information interchange — Representation of dates and times: section 5.3.1.3" (PDF). International Standards Organisation. 2000. p. 15. Retrieved 8 January 2019. ^ a b "Decimals Score a Point on International Standards". 2006-11-22. Retrieved 2008-11-27. ^ a b c International Bureau of Weights and Measures. "Rules and style conventions for expressing values of quantities": "". ^ a b "Guidelines for drafting IUPAC technical reports and recommendations". 2007. Retrieved 2008-11-27. ^ Emmons, John (2018-03-25). "UNICODE LOCALE DATA MARKUP LANGUAGE (LDML) PART 3: NUMBERS". Unicode.org. Archived from the original on 2018-07-25. Retrieved 2018-03-25. 1234:0000  57 69 6B 69 70 65 64 69-61 20 68 65 6C 70 73 21   Wikipedia helps! ^ a b MacLean, Robert. "How to correctly format currency in South Africa?". Retrieved 4 February 2018. ^ a b c according to several software developers: "Decimal and Thousands Separators". Oracle. Retrieved 2019-03-18. and Krupitsky, Igor. "International Number Formats". Microsoft. Retrieved 2019-03-18. ^ "AirNam board endorses aircraft purchase plan". Republic of Namibia, Ministry of Public Enterprises. Retrieved 30 January 2018. The cost per aircraft was estimated at between N$19,5 million and N$26 million. ^ "DECRETO SUPREMO Nº 064-84-ITI/IND" (PDF). Instituto Nacional de Calidad (INACAL). Retrieved 23 March 2019. La escritura de los números se hará utilizando las cifras arábigas y la numeración decimal, y en ella se separará la parte entera de la decimal mediante una coma (,). ^ GCIS (2011). Editorial Style Guide (PDF). Pretoria: Government Communications & Information System. p. 24. Retrieved 2018-01-30. * Write decimal and negative numbers as numerals: 3,3 and –4. Use the decimal comma, not the decimal point: 17,4 million. [...] * Use a space, not commas, to indicate thousands: 3 000, 20 000. ^ "English Style Guide (September 2017)" (PDF). University of Johannesburg. Retrieved 4 February 2018. Note the spaces and commas in the following: 3 000; 3 500; 2 354 701; R5,87. The so-called Continental System (also used in South Africa) requires that the decimal point be replaced by a comma. However, it is not always possible to do this, since many computer programs require a decimal point for calculations. ^ "COUNCIL TABLES BUDGET OF R1,06 BILLION". Mossel Bay Municipality. Retrieved 30 January 2018. ^ Schreibweisungen; 514: Dezimalkomma und Dezimalpunkt Archived 2017-01-22 at the Wayback Machine – Issuer: Federal Chancellery of Switzerland, 2nd issue 2013, p. 80 (german). ^ Pournader, Roozbeh (2000-10-15). "Persian decimal separator". Unicode Mail List Archive. Unicode Consortium. Retrieved 2008-06-21. ^ "The Decimal Numeral". Academic Grammar of New Persian. Archived from the original on 2006-06-20. Retrieved 2006-06-19. ^ a b ""Scheibweisungen, 2nd edition 2013"". Schweizer Bundeskanzlei. June 2013. Archived from the original on 28 January 2015. ^ "Luvut ja numerot: numeroiden ryhmittely". Kielitoimiston ohjepankki (in Finnish). Retrieved 2018-06-27. ^ Taalunieversum. "10.000.000 / 10 000 000". Retrieved 1 September 2017. ^ Steinle, Vicki. "Teaching and Learning about Decimals". Archived from the original on 21 March 2012. Retrieved 20 April 2012.